Gimme! Gimme! Gimme! – MORE! Mamma Mia! The Movie Gimme! Gimme! Gimme! More DVD Gift Set, complete with music CD soundtrack and 32-page collectible book! Mamma Mia! The Movie Gimme! Gimme! Gimme! More Gift Set Is the Ultimate Mamma Mia! The Movie Experience! Includes 2-Disc Special Edition + Complete CD Soundtrack + Exclusive 32-Page Book in Collectible Packaging with Lights and Music! Comments : Comments Off on Gimme! Gimme! Gimme! – MORE! Comments : Comments Off on OH, KRISTINA! HOLIDAY! Please note: No updates here or on the web site till after September 25,2009. Comments : Comments Off on HERE WE GO AGAIN! THANK YOU FOR THE MUSIC PROGRAM & MORE! UPDATES FOR THANK YOU FOR THE MUSIC, HYDE PARK SEPTEMBER 13,2009. THE PROGRAM/GALLERY/VIDEOS/THE CONCERT AND MORE! Comments : Comments Off on THANK YOU FOR THE MUSIC PROGRAM & MORE! A Dream come true. For Kylie and Me! WOW…. Comments : Comments Off on THANK YOU! ABBAWORLD Set for World Premiere! 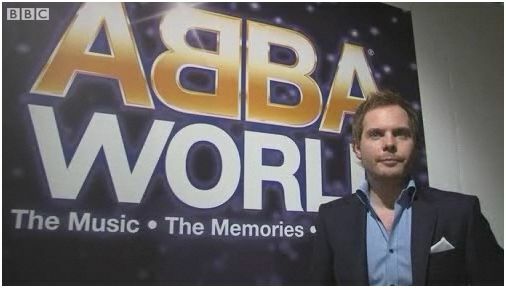 ABBAWORLD will make its world premiere in London this autumn. The highly anticipated multi-media experience and exhibition will debut for a limited run in the heart of London. ABBAWORLD looks set to become one of London’s most exciting experiences, bringing fans closer than ever before to the band by using state of the art technology and displaying previously unseen film and memorabilia across 30,000 square feet of space. 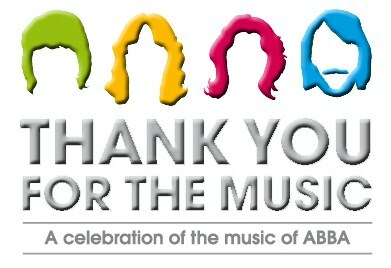 The venue selected for the world premiere of ABBAWORLD is a closely guarded secret whilst the necessary preparations take place; however, it is located in the heart of London’s West End, close to public transport, and it will meet the highest expectations of the fans of ABBA. “It’s somewhat fitting that ABBAWORLD will make its premiere in the UK – the band have topped the charts here more times than anywhere else in the world. I am incredibly excited to be involved in something that is already generating an extraordinary level of interest” comments Phil Bowdery, President of Touring for Live Nation, the local promoter of ABBAWORLD. Details of venue, premiere, on-sale date, and how to buy tickets will be released at a later point.